Employers will often seek to minimize your injuries. They’ll argue that you weren’t really hurt. They’ll say you should have returned to work by now. Employers and their insurance companies will try to blame your injuries on other medical conditions. 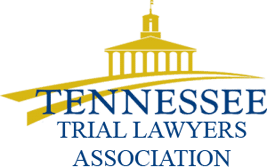 Employees should understand that there are limits in Tennessee to what types of medical information about workers employers can obtain. Generally, employers are not entitled to request your medical health records from your doctors without your consent or a Court order. The employer or insurance company can’t ask you to sign a release immediately after your injury. You have the right to speak with your lawyer first and to have your attorney review any medical release request. It is better if your attorney prepares the medical release form. If your injuries are related to a workplace accident and your prior history of the same type injury. If your medical condition prevents you from returning to work, or is related to a non-work-related type injury. Requests may be limited to the part of the body that is affected. What is the insurance company looking for when they review your medical records? 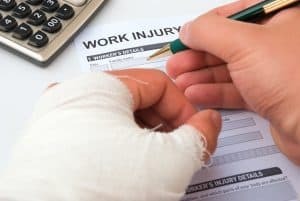 In addition to reviewing your ability to return to work, the employer wants to find evidence that your injury was due to non-work-related causes – also called pre-existing conditions. For example, if you hurt your knee, the insurance company wants to show you had a prior accident that caused your knee pain. They will then argue that you should either live with the knee pain or seek compensation from whomever caused the original knee pain. Even if your injury was due to a pre-existing condition, workers can claim that the workplace accident aggravated their condition. Many workers, for example, who do construction work, may have already recuperated from their prior pains. Employees can then, with support from their physician, claim that their new pain is due solely to the recent workplace accident. Workers can also claim that even if they were still in pain, the new accident made their pain worse. The insurance company will also examine the records to see if you ever told the doctor that you weren’t really hurt that bad. Experience matters. 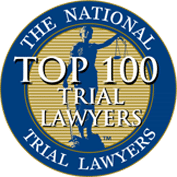 The workers compensation lawyers at Wagner & Wagner Attorneys at Law have been fighting for injured workers since 1945. We understand your rights and the rights of the employer. We aggressively contest attempts by employer insurance companies to request information that they know they can’t rightfully obtain. 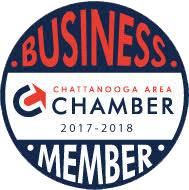 We handle workers’ compensation claims in and around Chattanooga and Cleveland, TN, and in North Georgia. To speak with an experienced work injury lawyer today, please call us at 423-799-3532 or complete our contact form to schedule an appointment.